Whenever someone mentions the flapper era that was the fashion movement back in the 20s, we always think about shapeless, shimmery dresses adorned with layers of fringe. 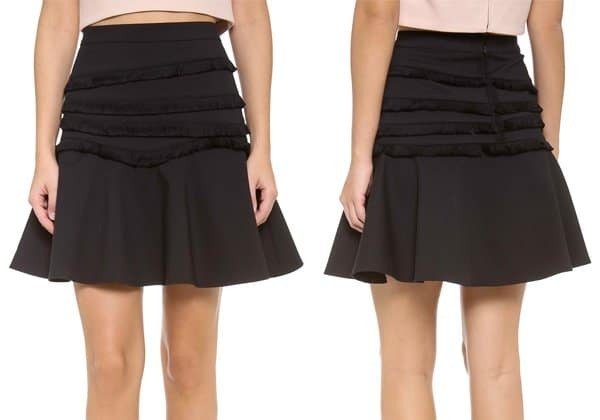 And while we have seen glimpses of modern variations of the flapper fringe trend in the past, it’s hard to say that it has made a strong impression in the fashion industry. 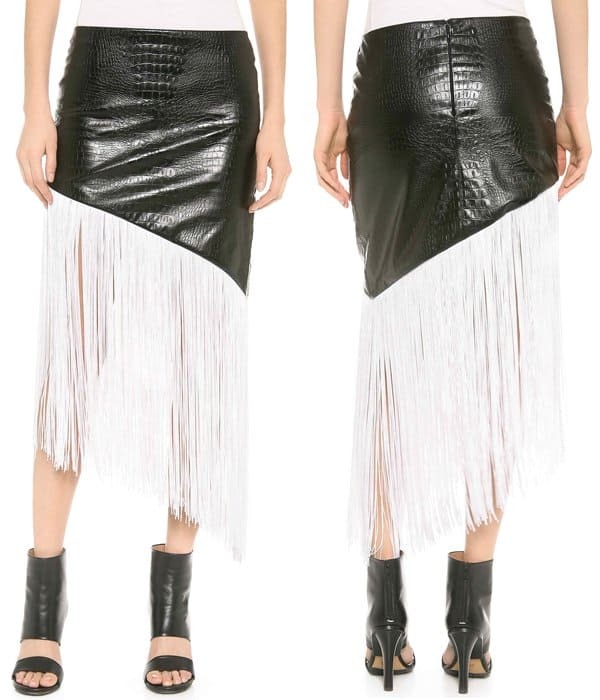 After seeing Lily Collins don a Chanel Pre-Fall 2014 fringe skirt at the brand’s Fall/Winter 2014-2015 runway show, we are predisposed to think that the flapper trend might come back in full force. The 25-year-old brazened it out and wore a printed knitted sweater over her metallic silver and red fringe pencil skirt. The contrast not only of colors but also texture and finish made Lily a strong fashion contender at the event. The The Mortal Instruments actress also wore a fringed bag. As if the interesting points aren’t enough, she also wore a pair of pinstripes-printed pumps. Despite the clash of prints, colors and textures, the outfit worked! What about you ladies? Did you think Lily Collins nailed the clashing print and texture look?